With the calendar turning to October, most people minds turn to thoughts of pumpkin and Halloween. Thankfully, there are a couple of snack stands which have added some pumpkin options to their snack menu. Those two places are the funnel cake stand in The American Experience and L’Artisan des Glaces at the France Pavilion. The American Experience has replaced its double chocolate funnel cake (a personal favorite of mine) with a pumpkin spice funnel cake. 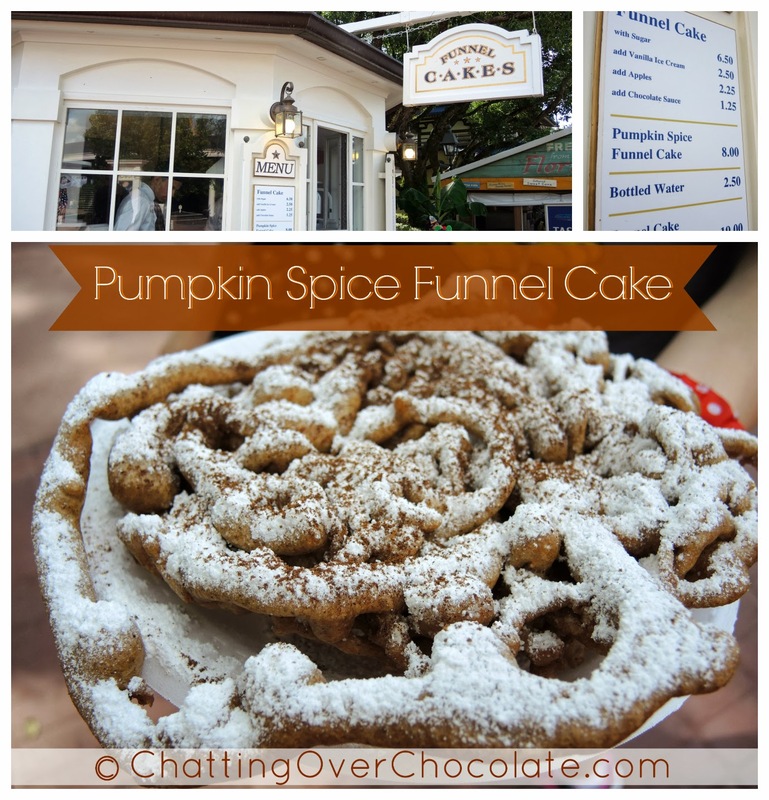 This seasonal funnel cake is not available for a Disney Dining Plan snack credit. It is available for cash/charge back to the room for $8.00 which is the same price as the double chocolate funnel cake. Pictured above is the pumpkin spice macaron ice cream sandwich. 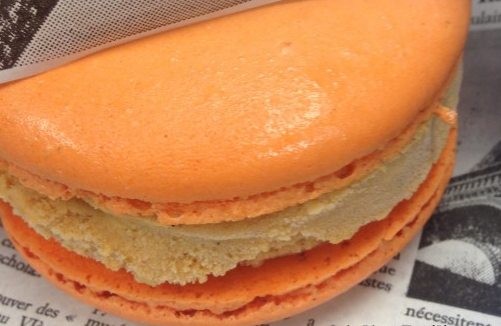 You get a scoop of pumpkin spice ice cream placed between two macaron. This snack is available for a Disney Dining Plan snack credit or for cash/room charge at $3.99. The pumpkin spice is also available in a cone or a dish. It is also available in my favorite snack from the L’Artisan des Glaces snack shop….the pressed brioche ice cream sandwich. The pressed brioche is not available for a snack credit. It costs $6.10. It also sounds like that when October and Halloween is over that the pumpkin spice ice cream is going to be replaced with a more winter/Christmas themed ice cream. YUM!